Tin Content Net weight 2 ozs. 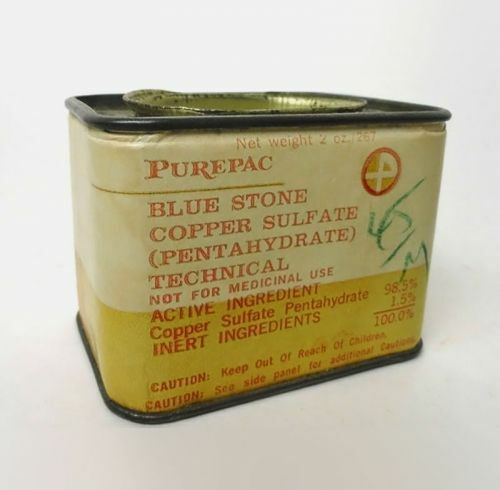 PurePac Corporation, Elizabeth, N.J. U.S.A. Distr. Full. When you shake it, it sounds like stones or rocks bouncing around.